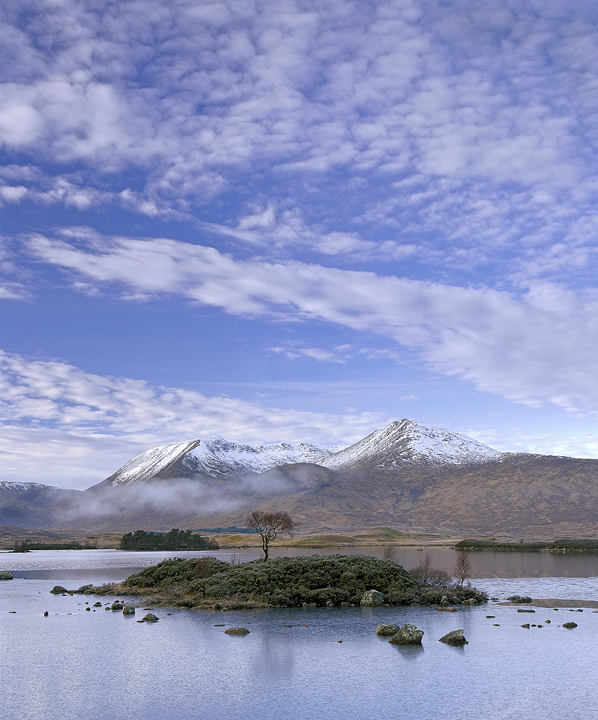 A beautiful chill winter sky hung motionless over the famous island tree, my diamond in the rough, on Rannoch moor with thin wraiths of mist occasionally floating in partially concealing the snow dusted Blackmount beyond. I was delighted at the cool blue icy palette muted by frost, particularly as it conveyed the biting chill of that gorgeous winter dawn. My first vertical shot of this justifiably iconic place.